The GSA Alliant Small Business contract provides flexible access to customized IT solutions from a large, diverse pool of industry partners. With a $15 billion program ceiling and a five-year base period with one five-year option, Alliant Small Business allows for the long-term planning of large-scale program requirements while strengthening opportunities for small businesses. The functional areas of the Alliant SB contract include: Infrastructure-related services, Applications-related services, and IT Management Services. The Strategic Partners Acquisition Readiness Contract (SPARC) is an innovative solution for acquiring IT professional services from a pool of Centers for Medicare & Medicaid Services (CMS) experienced partners. 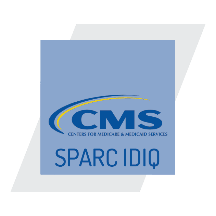 The CMS SPARC contract provides strategic, technical, and program management guidance and support services, to facilitate the modernization of CMS systems. The 8(a) Streamlined Technology Acquisition Resources for Services (STARS) II Government Wide Acquisition Contract (GWAC) is a small disadvantaged 8(a) business set-aside contract to provide the Federal Government with high quality information technology solutions. The 8(a) STARS II is a multiple award, ID/IQ contract vehicle. SuprTEK is qualified to compete on all functional areas for both Constellation 1 and 2. The Defense Logistics Agency (DLA) J6 Enterprise Technology Services (JETS) IDIQ Contract provides the full range of IT services, technical and management expertise that support applications, software, hardware, infrastructure, and systems across the DLA IT Enterprise. SuprTEK is entitled to compete on all unrestricted and 100% total small business set-aside task orders. The CIO-SP3 contract includes 137 labor categories for task orders in support of a broad range of IT services, including cloud computing, cyber security, biomedical information services, health IT, imaging, mobility solutions, software development, enterprise data management, systems engineering, identity and access management, ERP IT infrastructure, workforce management, capital planning and investment, and more. SuprTEK is qualified to bid in all 10 Task Areas. Contract vehicles are reachable by and available to ALL federal agencies. Vehicles accommodate Performance-based Task Orders on FFP, Cost Plus and T&M engagements. Contract vehicles ensure competitive solutions and pricing with pre-qualified vendors.